The estate includes several other buildings including a laundry house, coach house, barn, and multiple garages. The mansion is also surrounded by a beautiful garden, which includes gazebos. The garden is perhaps best known for having one of the best clay tennis courts in the state; in its heyday the court was used by visiting celebrities. 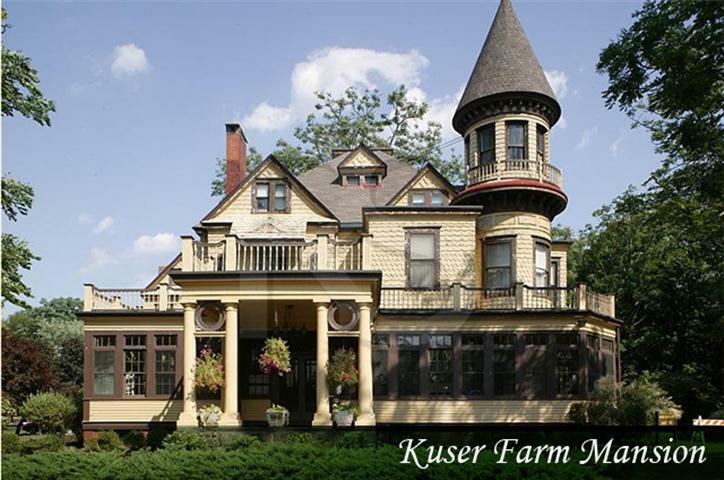 Owned and operated by Hamilton Township, Kuser Farm Mansion is open to the public for guided tours; the gardens are also open to the public.